New, great value rear hub manufactured by Spanish brand Clean. 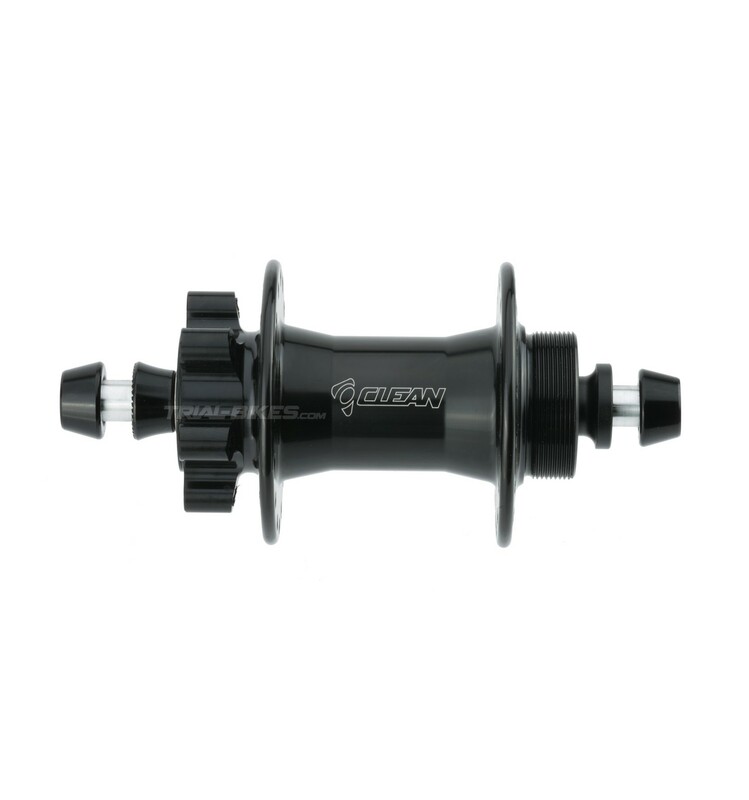 This is a robust, strong, durable hub, designed by Clean for those riders looking for a 100% reliable and affordable hub. 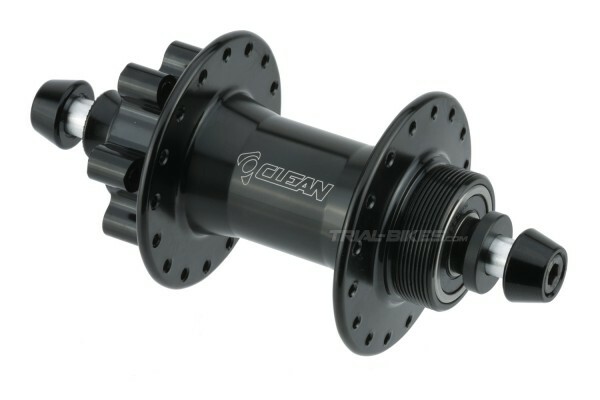 - New, great value rear hub manufactured by Spanish brand Clean. 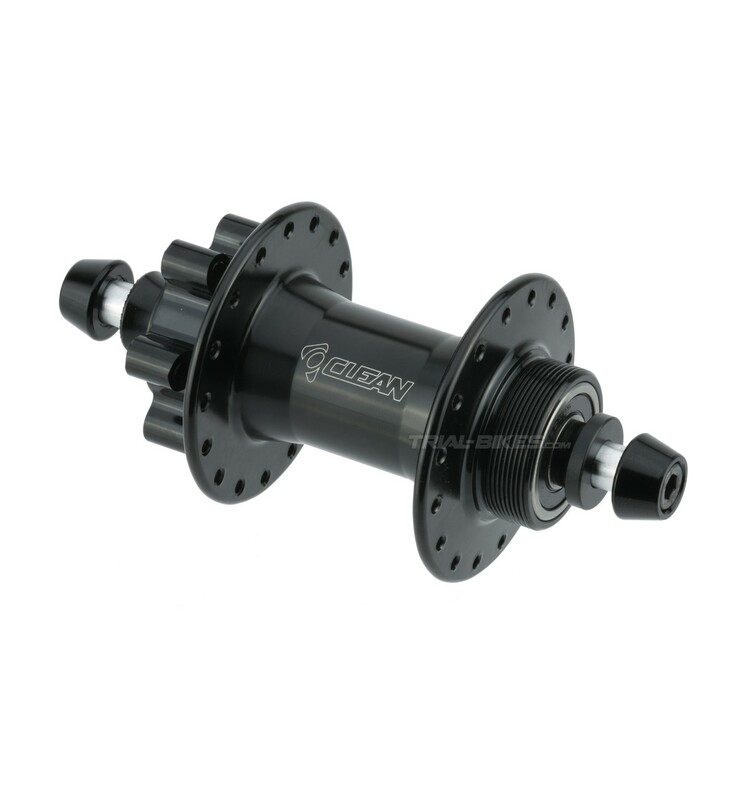 - This is a robust, strong, durable hub, designed by Clean for those riders looking for a 100% reliable and affordable hub. - The hub shell is CNC mechanized from high quality 6061-T6 aluminium. - Features high quality replaceable sealed bearings, which ensure a smooth running while keeping out all the dirt (mud, water, dust, etc.). - Standard 1.37’’ x 24 tpi thread fits most freewheels and sprockets. 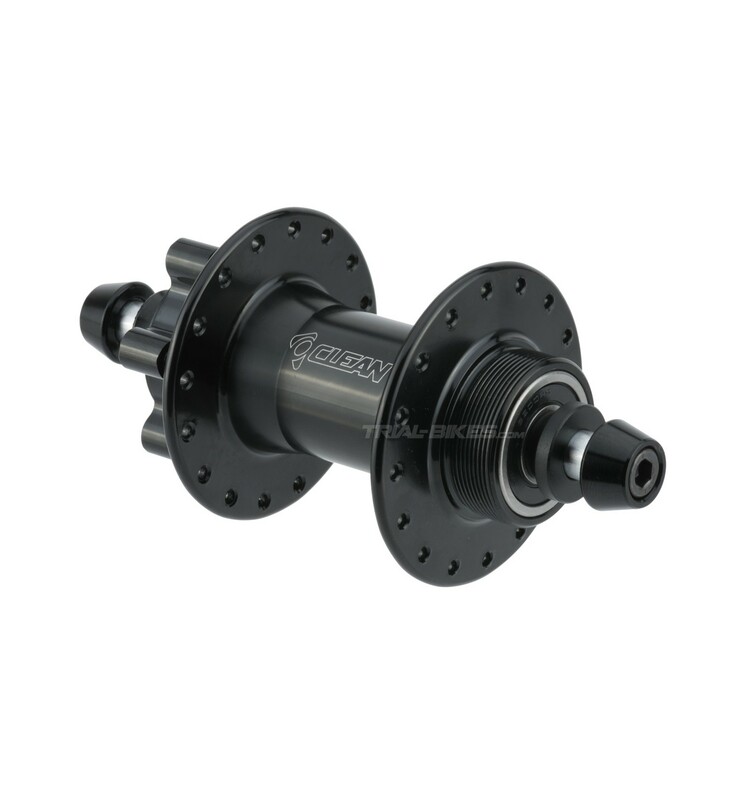 - Its high number of threads means this is a reliable, safe and durable hub. - Includes M6x35mm steel bolts and high quality serrated washers. - 6-Bolt IS (International Standard) disc brake mounts. - Available with 32 spoke holes only. - Does not include snail cams or sprocket (both are available on our website). - This hub is supplied with an 8mm spacer installed on the drive side and an 11mm spacer on the disc side, which allows you to install 3mm snail cams. - Also included, an 11mm and 14mm spacers, that must be installed instead in case you run another type of chain tensioner on an 116mm frame. - Rims with 32 spoke holes. - Rotors with 6-Bolt IS (International Standard) disc brake mounts. - Screw-on sprockets and freewheels with standard 1.37’’ x 24 tpi thread. - Gloss black, with white Clean logo.